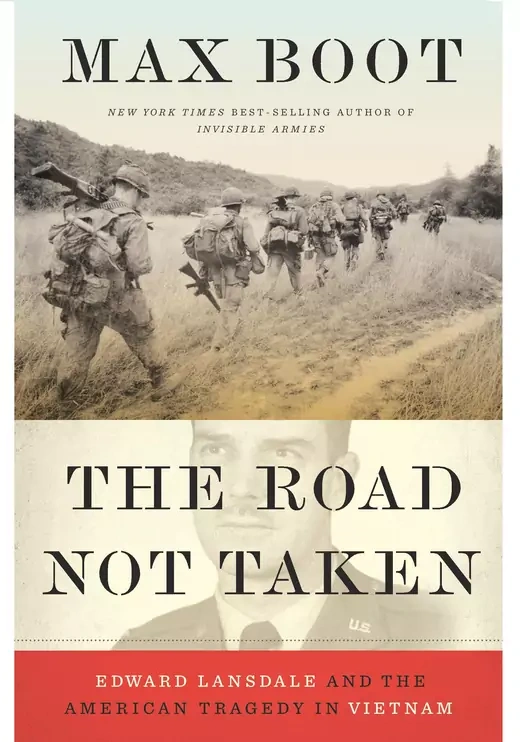 January 9, 2018—The Vietnam War “might have taken a very different course—one that was less costly and potentially more successful—if the counsel of this CIA operative and Air Force officer had been followed,” writes Max Boot in The Road Not Taken: Edward Lansdale and the American Tragedy in Vietnam. Amazon has selected the biography as one of its Best Books of January 2018 and has said it "reads like a novel." Boot, the Jeane J. Kirkpatrick Senior Fellow for National Security Studies at the Council on Foreign Relations, presents a groundbreaking biography of Edward Lansdale, the legendary covert operative—the purported model for Graham Greene’s The Quiet American—who pioneered a “hearts and minds” approach to wars in the Philippines and Vietnam. Lansdale advocated a visionary policy that, contends Boot, was ultimately crushed by America’s giant military bureaucracy, steered by elitist generals and patrician diplomats who favored troop buildups and napalm bombs over winning the trust of the people. Through dozens of interviews and access to never-before-seen documents—including long-hidden love letters—Boot recasts this cautionary American story, tracing the bold rise and crashing fall of the roguish “T.E. Lawrence of Asia,” from the battle of Dien Bien Phu to the humiliating American evacuation in 1975. Boot asserts that Lansdale’s legacy “stands as a rebuke both to anti-interventionists who assume that fragile states should stand or fall on their own and to arch-hawks who believe that massive commitments of American military forces are necessary to win any war.” He further suggests that Lansdale’s mastery of political warfare and propaganda and his “tactics in fighting global communism” could “usefully be studied by officials today fighting global jihadism” in U.S. involvements in Afghanistan and Iraq. To interview Boot, please contact the Global Communications and Media Relations team at 212.434.9888 or communications@cfr.org. Visit the book page at cfr.org/roadnottaken.